This week we welcome back two friends of the show that went on to form a group together. Speak is an unpredictable and mischievous rapper that I’ve watched grow up. We met when he was just seventeen on a road trip to a rap battle in the Bay Area. Since then I’ve watched him adapt and readjust to the ever changing rap scene. He moved to Mexico after a revealing hallucinogenic experience. This new record puts his cultural growth and expanding maturity on display. Dream Panther is Greg Sheran’s open ended alias. Sometimes it’s a group, sometimes it’s a solo project. Before moving to Detroit, KN alum Caleb Stone was in the group for a while when he was living with Speak. During this time Greg and Speak began toying with the idea of making an album together. SpeakPanther is the result of a few very intense studio sessions spread out over a few months. As Greg put it, “it was a really fast, and slow process.” With Speak in Mexico, and Greg in LA, they’d work whirlwind sessions during the short stints Speak was back in the States. Greg would often make beats on the fly while Speak would listen and write. The album, in turn, is cohesive and tightly constructed. Speak’s intensity and verbosity fit like puzzle pieces with Greg’s laid back vibes and willingness to listen. 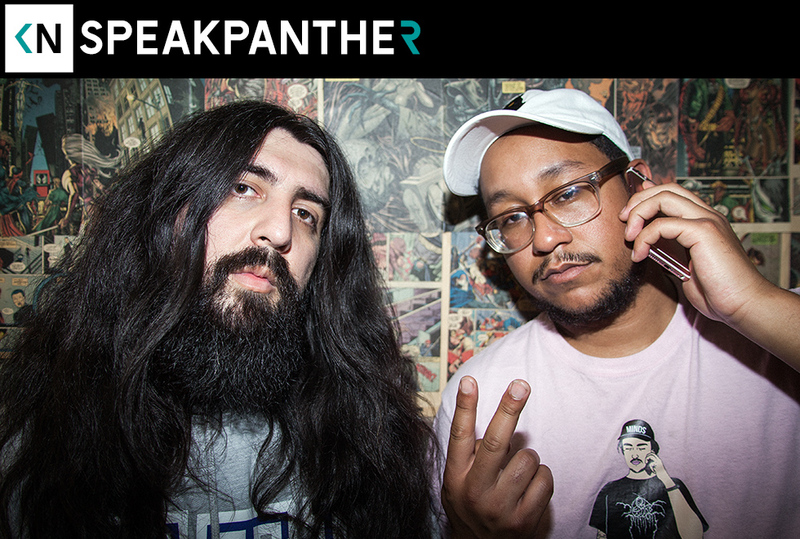 Listen below as we talk about Speak’s move to Mexico, the SpeakPanther process, and alt-right white rappers.